class="post-template-default single single-post postid-1095 single-format-standard samba_theme do-etfw wpb-js-composer js-comp-ver-4.1 vc_responsive"
The Talwars: Behind Closed Doors has won the Best Foreign Documentary Award at the 2017 China Academy Awards of Documentary Film (CAADF). CAADF is China state-level academic award of documentary films. CAADF is supervised by SARFT, and hosted by China Documentary Research Centre (CRDC) of Communication University of China (CUC). 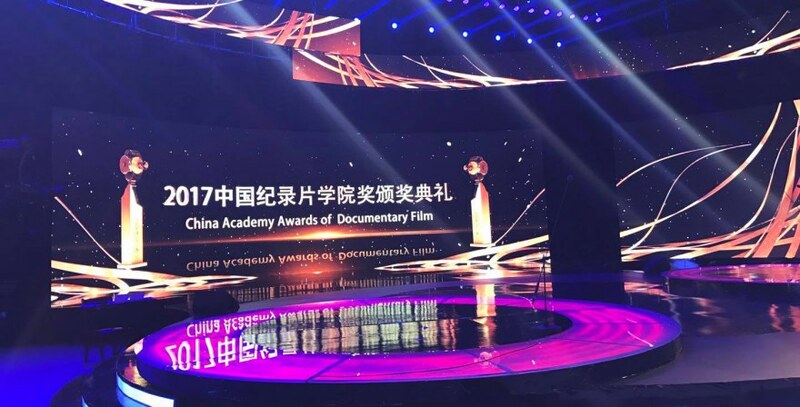 First launched in 2011, CAADF is known as “The Oscar of China Documentary” due to its rigorous academic integrity, professional standards and international perspective. This year, the jury members include Jacques Perrin, director of award winning documentaries such as Winged Migration (Le Peuple Migrateur) , Oceans (Océans) and Seasons (Les saisons); He Suliu, professor, documentary director, and the vice dean of Journalism and Communication department of CUC; Gao Qunshu, the renowned director whose films including Beijing Blues, the winner of Best Picture at the 49th Taiwan Golden Horse Award; Zhong Danian, the former VP of Hong Kong based Phoenix Television; Anthony LaMolinara, the visual effect director of Spider-Man 1&2 and Liu Chun, former VP and COO of Sohu.com. 239 films have been selected to compete for 19 CAADF Awards, among which 5 films were nominated for Best Foreign Documentary Award. They are: Mosquito from Discovery Networks Asia-Pacific; Genius from National Geographic; Ancient Top 10 from A+E NETWORKS; American Dream from Andrey Ananin and The Talwars: Behind Closed Doors from HBO Asia (Winner).